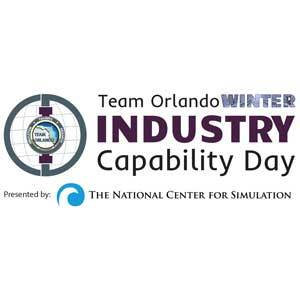 Last month’s Team Orlando Industry Capability Day presented by National Center for Simulation featured 14 companies sharing some of their newest innovations. 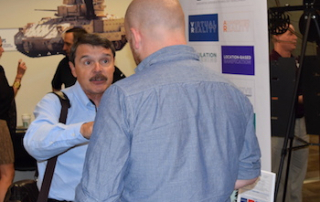 The exhibiting companies varied in areas of speciality from medical to 3D printing to augmented and virtual reality to power supplies. Next month’s Team Orlando Summer Industry Capability Day presented by National Center for Simulation is quickly filling up. 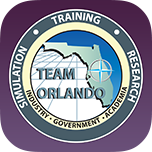 The event is scheduled for July 15 from 8 a.m. to 1 p.m. and takes place in Partnership 3, Room 321 (3039 Technology Parkway). 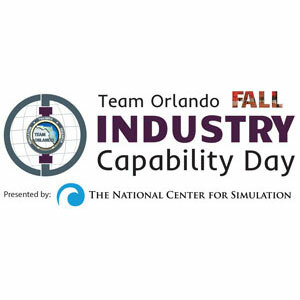 The National Center for Simulation, in partnership with Team Orlando, announced that Summer Industry Capability Day is scheduled for July 15 from 8 a.m. to 1 p.m., and will take place in UCF’s Partnership 3, Room 321 A/B. 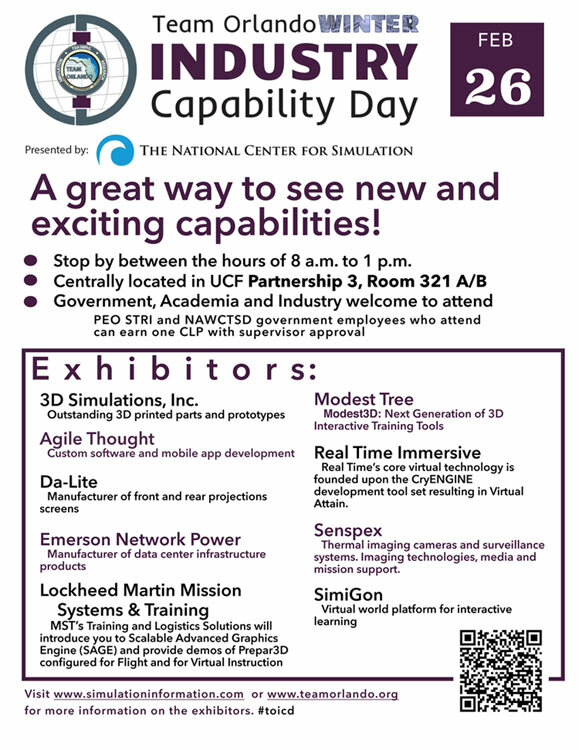 Team Orlando and National Center for Simulation announced the first Industry Capability Day of 2015 is Feb. 26.